A downstream view of the blue green waters and ornate cliffs that make Rock Run special. 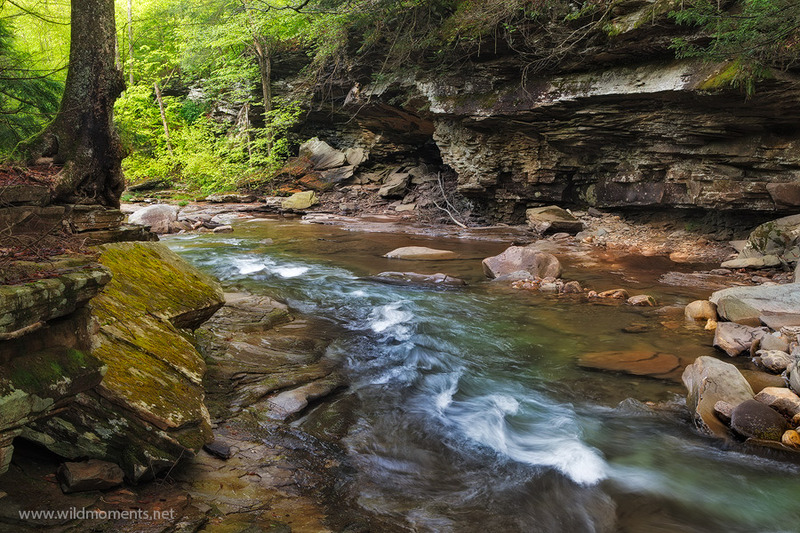 This stream is located in northeastern Pennsylvania. Photo © copyright by Michael Greene.